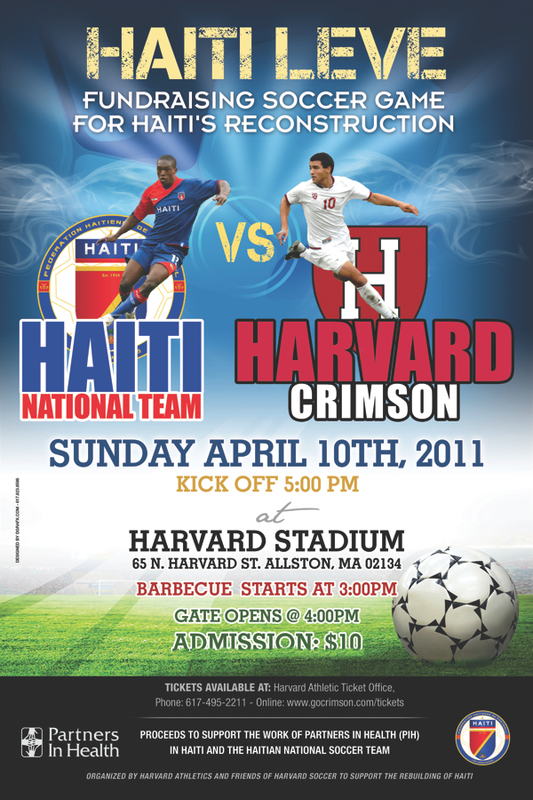 The national men's soccer team of Haiti will play the Harvard varsity men's side on Sunday, April 10, at 5 p.m. in Harvard Stadium. General admission tickets to the match, which is open to the public, are priced at $10. The match is part of a five-day benefit tour by the Haitian team, organized to raise money for relief efforts in their country by Partners in Health. The nonprofit group, which began as a volunteer project in the island nation almost a quarter-century ago, has been working to ameliorate the consequences of the disastrous earthquake that struck Haiti in January 2010.